Today, I’ll be talking about the BECCA Beach Tint that came in the “Best of BECCA” set I ordered a few weeks ago. 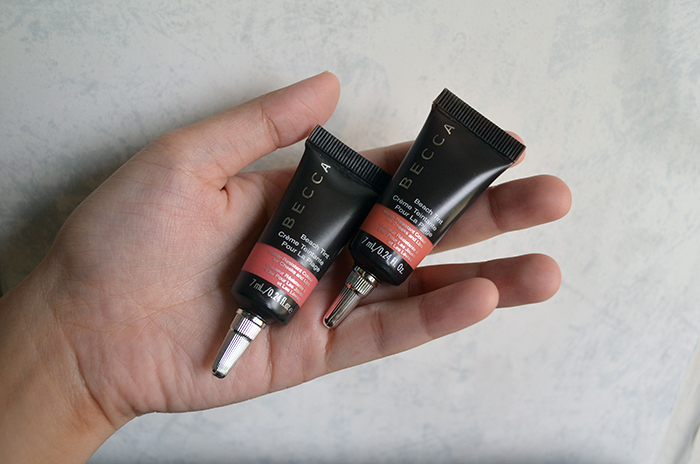 If you’re new here, BECCA Beach Tints are one of BECCA’s cult products and a personal favorite of mine. Beach Tints are “water-resistant colours for cheeks and lips.” As with most multi-purpose products, I prefer this using this for one purpose, and in this case, it is a much better cheek product than a lip product. The first one I purchased is called Raspberry, and I loved it so much, I got another one, Guava. The one that came in the set is called Grapefruit, and it’s the one on the right, which is similar to Guava, but more orange than Guava’s coral pink. 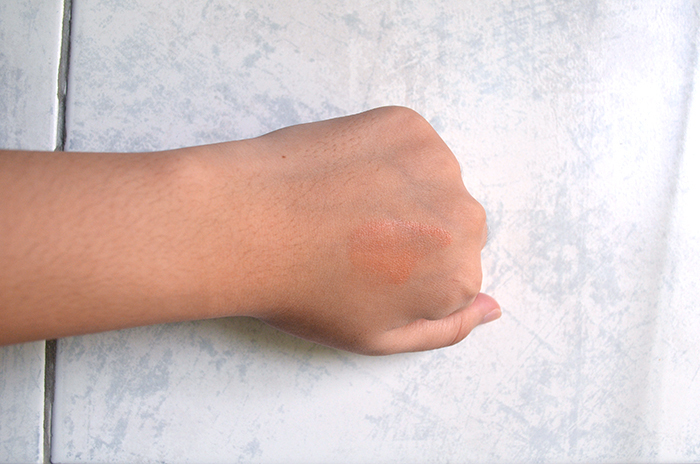 It’s not extremely pigmented, and I honestly wasn’t expecting much mileage or use out of this because on the hand, it looks really blah. I didn’t want to get my hopes up, I suppose, is what I’m saying. However! When I put it on my cheeks, it gives me just the right amount of glow and warmth. I love them all, though I’m figuring out that Grapefruit has the most off-putting citrusy artificial scent! 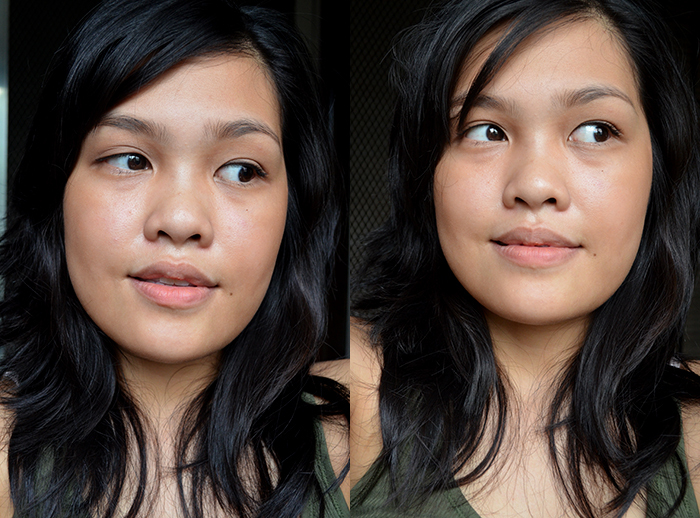 Which colors in the line, based on product pigmentation, would be good for dark skin tones? Ah, I’m not sure. I don’t have other colors from this range. Sorry!